Is there anything more important than taking care of our kids. Having raised a couple of our own, anything that makes the long ER waits less stressful or procedure rooms less scary is so important. 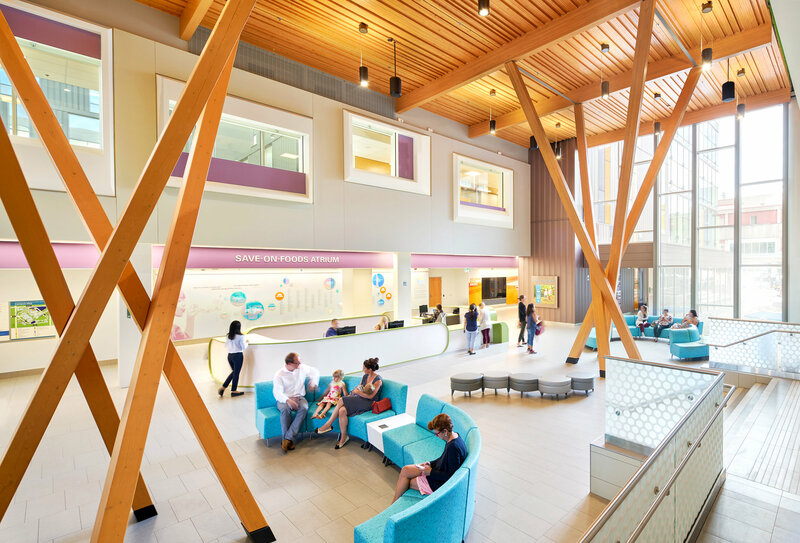 The Teck Acute Care Facility at Vancouver Children’s Hospital is really incredible. Obviously this place is a state of the art care facility but what really stands out to me was the never ending ways they found to make the entire building magical and calming for both kids and their parents. Original murals everywhere ( I mean everywhere, hallways, procedure rooms, operating theatres…) voted on by kids who were past or current patients, way finding via different animal themes, an evolving daytime/night time forest in the lobby, interactive video aquarium in the ER, outdoor decks with mazes, separate spaces for teens…. and light, tons of natural light everywhere.